Our Whole30 salad bowl is made just for you. 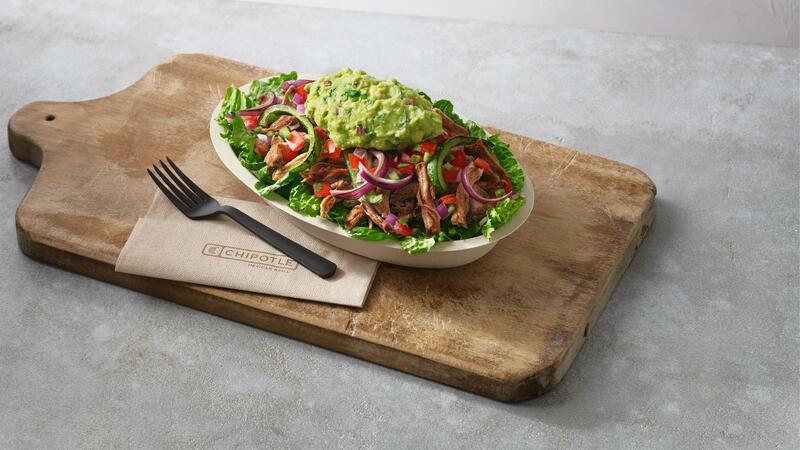 We add our braised and hand-shredded Carnitas, grilled Fajita Veggies, fresh Tomato Salsa, and our Hand-Mashed Guac on a bed of hand-chopped Romaine Lettuce. Our local Bushwick Chipotle Mexican Grill is cultivating a better world by serving responsibly sourced, classically-cooked, real food with wholesome ingredients without added colors, flavors or other additives. Chipotle had more than 2,450 restaurants as of September 30, 2018 in the United States, Canada, the United Kingdom, France and Germany and is the only restaurant company of its size that owns and operates all its restaurants. With more than 70,000 employees passionate about providing a great guest experience, Chipotle is a longtime leader and innovator in the food industry.